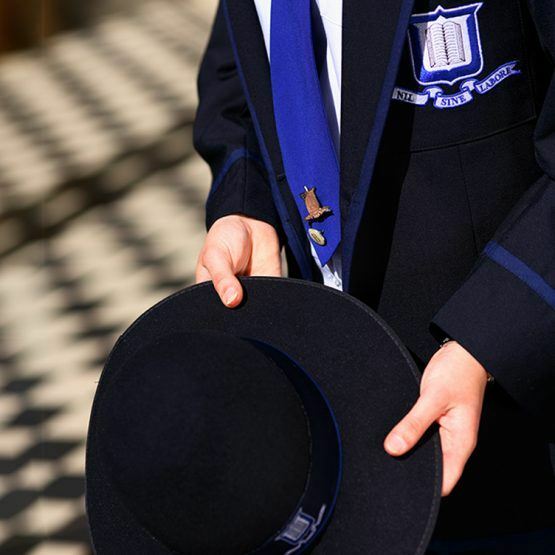 The Sigma Maths program offers students the opportunity to participate in a variety of mathematical experiences beyond the scope of the standard mathematics curriculum. 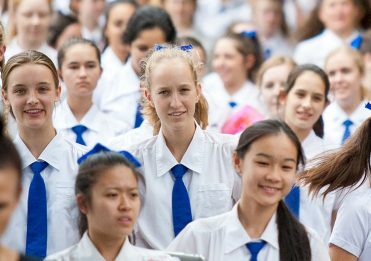 Girls enjoy the challenge of competitions and workshops, and welcome the opportunity to share their love of mathematics with like-minded students. Below is a summary of Term 1 activities. On Thursday 28 February 2019, 32 Year 9 and 10 students attended the Science and Engineering Challenge at The University of Queensland. The girls worked on a variety of challenges throughout the day including building a bridge with limited resources, construction of an earthquake-proof structure from paper and straws, and the design of a table and chair within a series of constraints. On Thursday 28 February 2019, 45 Year 8 girls enjoyed an afternoon of fun mathematical challenges. Working in teams, girls completed three rounds of competition—a group problem solving- competition, a mathematical relay and a round of trivia. 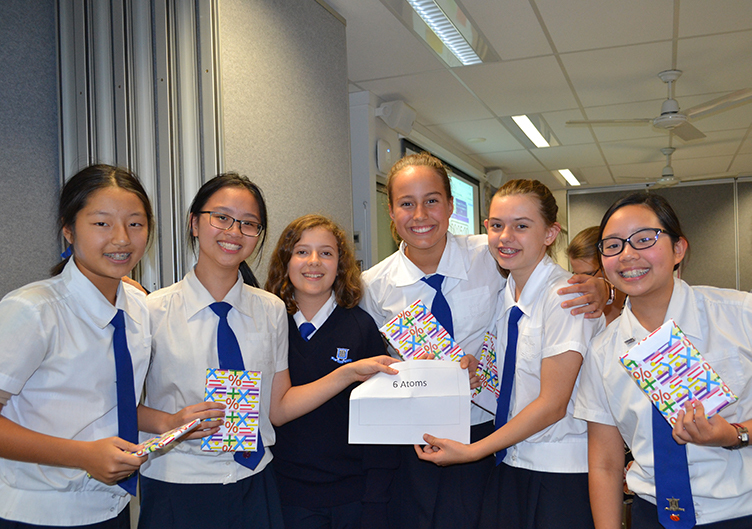 Congratulations to the winning team, ‘Six Atoms’, comprising Trish Chow (8H), Leah Diamond (8E), Tung-Hi Ma (8H), Tiena Packard (8G), Janet Su (8E) and Mathilde Wernham (8G). On Saturday 16 March 2019, 18 students in Years 8 to 12 participated in the QAMT Problem-solving Competition at The University of Queensland. Students had two hours to complete a series of challenging mathematics problems under exam conditions. At the conclusion of the competition, girls enjoyed lunch consisting of a variety of pies in celebration of Pi Day. We look forward to receiving results from this competition in Term 2. This term, Year 7 mathematicians had the opportunity to attend two Sigma Maths workshops—a problem-solving relay, and a Computational and Algorithmic Thinking workshop. Next term, Year 7 Sigma Maths will enter the Australian Problem-solving Mathematics Olympiad. Students in Years 8 to 10 interested in the Australian Mathematics Trust’s extended problem-solving competitions attended a workshop to gain insight into these upcoming competitions, which will be held in Terms 2 and 3. This week, 29 girls from Years 7 to 10, participated in the CAT Competition. In preparation, girls attended an after-school workshop where they practised using past papers from the competition. We look forward to receiving results later in the year. The Sigma Maths Problem of the Week continues to be popular, with many girls participating each week. Students who successfully solve the problem receive a certificate and Sigma Maths pencil. All events are advertised in the Daily Notices and girls can sign-up via the Sigma Maths page on Moodle. Year 8 Maths Team Challenge winners Janet Su (8E), Trish Chow (8H), Leah Diamond (8E), Tiena Packard (8G), Mathilde Wernham (8G) and Tung-Hi Ma (8H).